Our 2011 Pinot Noir is produced from fruit sourced from our own vineyard where we have 31 planted acres. Deep garnet in colour with notes of raspberry, white pepper and fresh pine this Pinot has a creamy texture and wonderful mouthfeel. 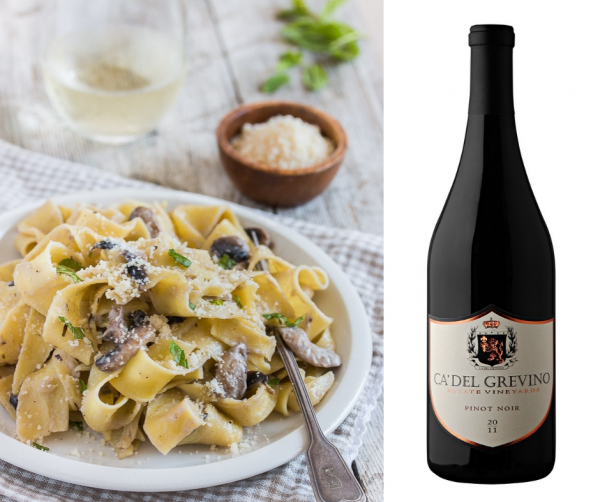 Try pairing with alfredo penne pasta and portobello mushroom! Copyright © 2013-2019 Openwines Limited. All Rights Reserved.